Now that school has begun and fall is upon us, it seems everyone’s schedule is filling up. So much so it’s hard to keep track of things. Do you use a calendar to keep track of activities and to-do lists? 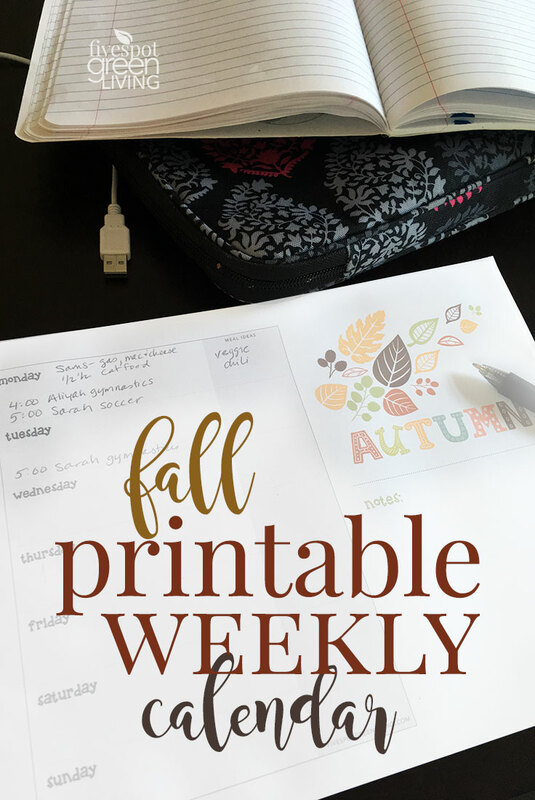 I like this fall printable weekly calendar rather than a big bulky yearly calendar. This is a great way to keep track of activities for kids. 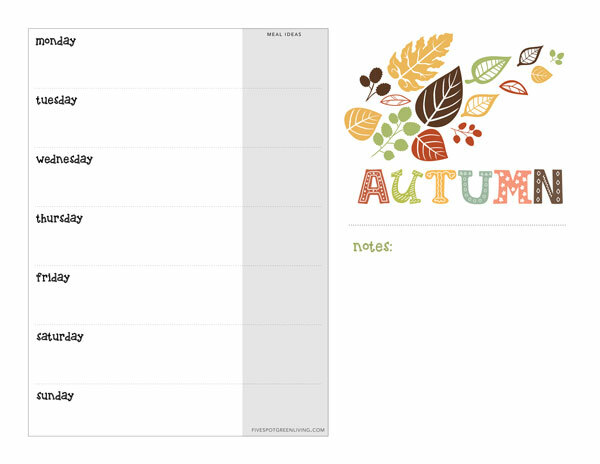 This calendar is very simple yet festive – a great way to keep track of weekly events. It even has a place for meal planning – always a necessity for busy families! I loved coming home to slow cooker vegetarian chili last night after sports rather than resorting to yet another sandwich or white spaghetti. 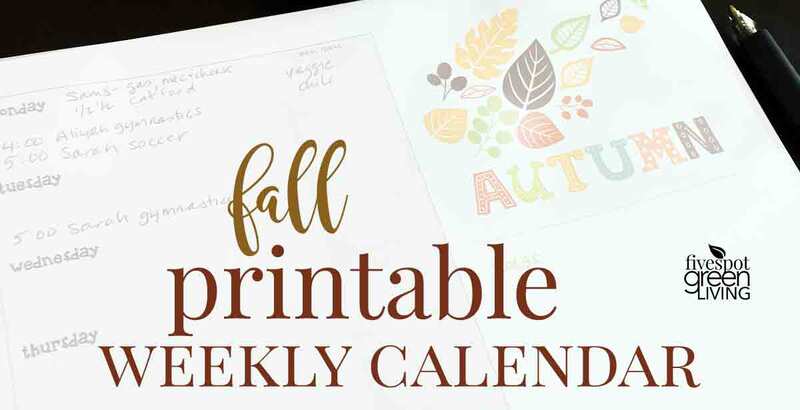 Click here to download this FREE fall printable weekly calendar! « How to Use a Pressure Cooker – It isn’t So Scary! So very pretty. It’s much easier to stay organized when you have lovely printables like this. Thanks for sharing at the This Is How We Roll Link Party. Pretty fall calendar. Thanks for sharing at the #InspirationSpotlight party. Pinned & sharing.